Al Foster played with Miles Davis for several years in the '70s, appearing on Get Up With It, On The Corner, Big Fun, Dark Magus, Agharta, and reuniting with him in the '80s for The Man With The Horn, We Want Miles, Star People, Decoy and You're Under Arrest. And the drummer was one of the few people to stay in contact with him toward the end of his life. The visionary trumpeter's presence is deeply felt on Foster's latest DVD, a 2007 recording of a live set from the famed New Morning club in Paris. In just over 90 minutes, Foster's talented quintet works their way through Miles classics "So What" and "So Near So Far" along with other gems like the irresistibly funky "Jean-Pierre." These songs bookend an eclectic set that includes a number of Foster originals such "Missing Miles," a beautiful and fitting tribute to the man that redefined bebop, and "Shed," written by and featuring pianist Aaron Goldberg in an outstanding performance, playing the tightly syncopated groove in his left hand while layering melodic lines with his right. He steals the show and Foster obviously loves every minute of it. 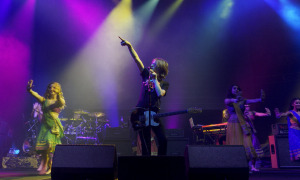 Throughout the performance, Foster maintains a wide, joyous grin, relishing in the music of his bandmatesa true class act. The second-to-last song, "Tune Up," opens with a rare drum solo that highlights Foster's delicate touch and intuitiveness as a player, qualities that have supported everyone from Clifton Anderson and Bruce Barth to Tommy Flanagan and Roy Hargrove. This is a welcome treat as he's usually content to play behind trumpeter Eddie Henderson and saxophonist Eli Degibri, who do an admirable job recreating classic bebop lines with a little flair of their own. Alternate pianists (Goldberg for the first half and George Colligan for the second) fill out the rhythm section along with Doug Weiss on bass. Cutaway shots of the Parisian crowd and surrounding atmosphere of the room engage the viewer in an organic and unobtrusive way while highlighting the universality of the form. A worthy addition to any jazz aficionado's collection. Tracks: So What; So Near So Far; Shed; Missing Miles; Cantaloupe Island; Alyosius; Peter's Mood; The Chief; TuneUp; Jean-Pierre. Personnel: Al Foster: drums; Eddie Henderson: trumpet; Eli Degibri: saxophone; Aaron Goldberg: piano; George Colligan: piano; Doug Weiss: bass. 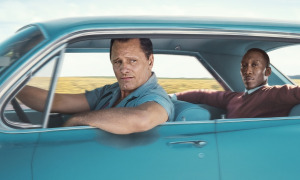 Production Notes: 130 minutes. Recorded July 2007. Soundformat Stereo, Dolby Digital 5.1, dts DVD-Format DVD 9 Menu English Screenformat 16:9 Languages English. 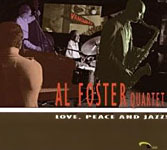 Al Foster: Love, Peace and Jazz!